Cosmos Toastmasters Club is proud to present two powerful seminars and workshops titled "Buiding Your Thinking Power, Part I: Mental Flexibility" and "Building Your Thinking Power Part II:The Power of Ideas", which are the parts of the modules in the "SUCCESS COOMUNICATION" series in the Toasmasters Curriculum. Sam is a product of the seminars he is conducting. After having some challenges in life due to traditional thinking, he experienced several paradigm shifts such as becoming more mentally flexible and acting on ideas that seem outlandish and unrealistic. 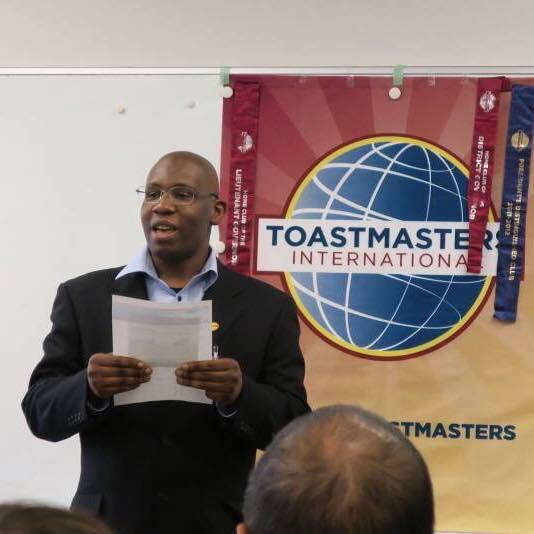 In these seminars and workshops, Sam shares the Toastmasters Curriculum on how to build your thinking power by being more mentally flexible and power of ideas and also how he benefited from them. It is Sam's hope that you enjoy and benefit immensely from these seminars and workshops. - Do you desire to think more creatively? - Do you want to network with friends and new people? - Have you ever hoped for such a seminar and workshop to help you with accomplish all this? If you have all these dilemmas, then this workshop and seminar may be just for you. Guests are welcome.Please sign up here if you are interested in. - Do you have challenges coming up with ideas? - You know there are better ways of doing things but you have no idea how to do it? We hope you enjoy our seminar and we look forward to seeing you there.